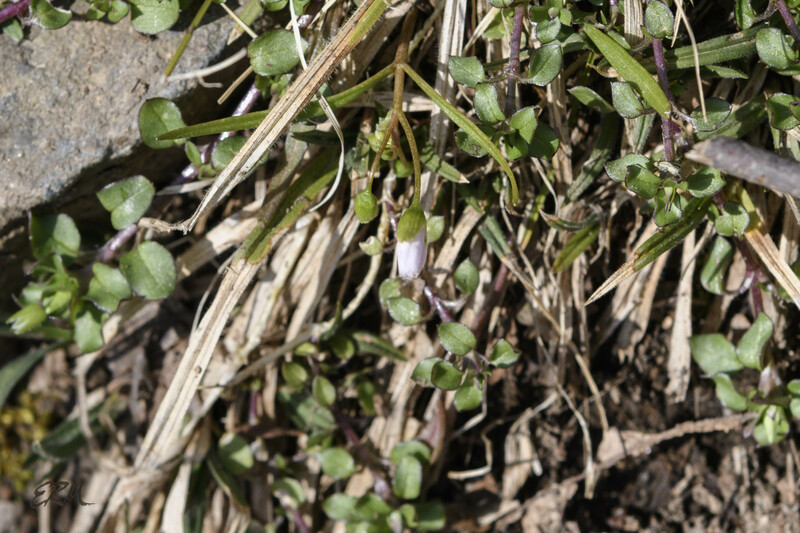 I had a quick look around the Carderock area on Friday (March 29), and saw the following plants blooming or budding. 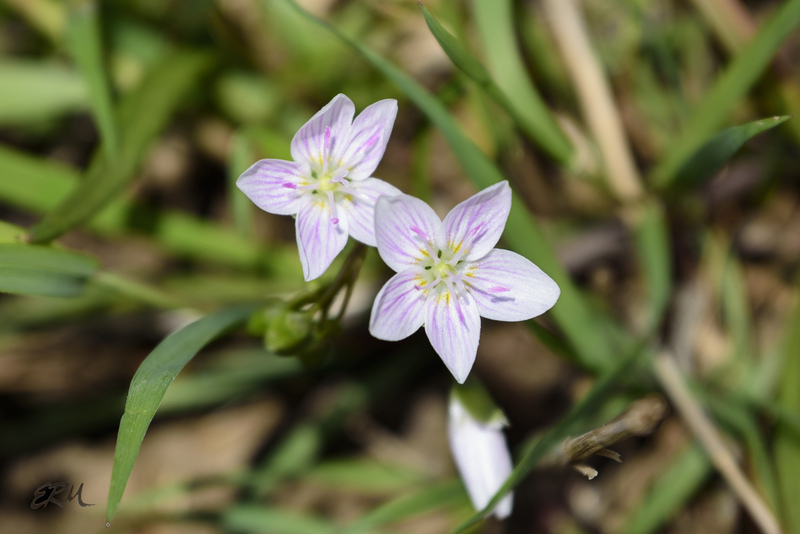 Also had fun taking closeup shots. 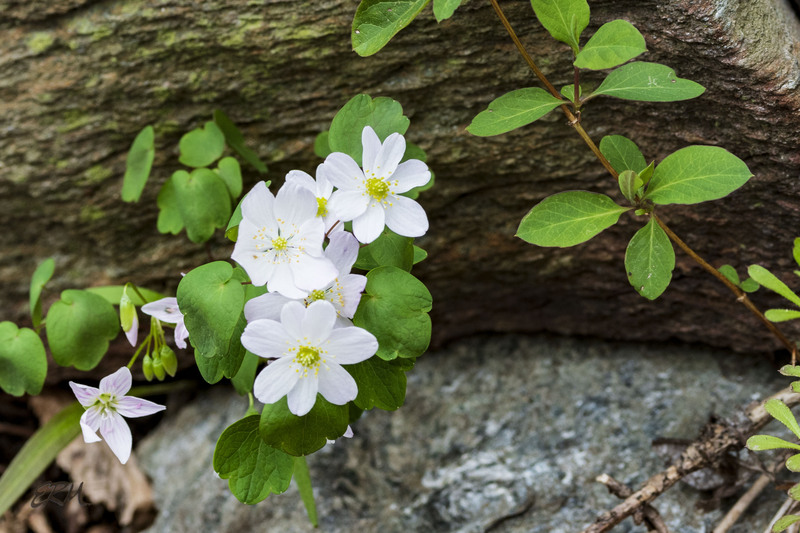 The next few weeks should be spectacular. 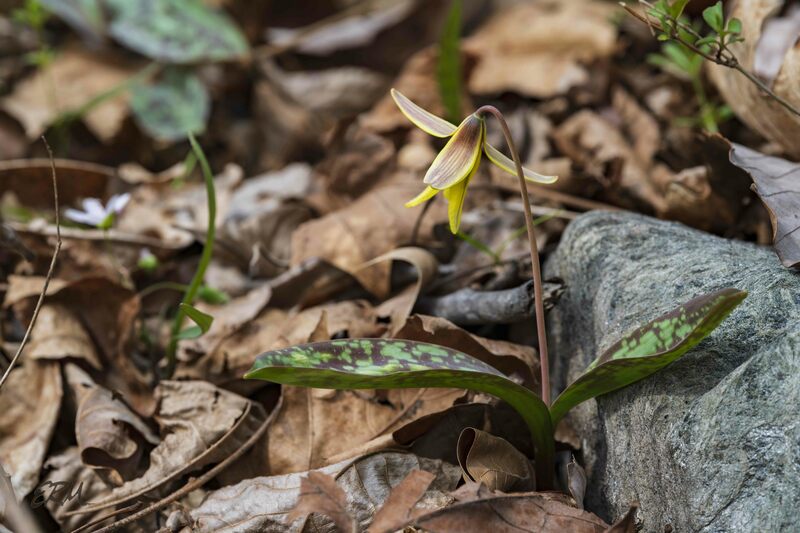 Things are still moving along slowly in the Potomac Gorge, but with warmer weather coming I expect the show will really get going soon. 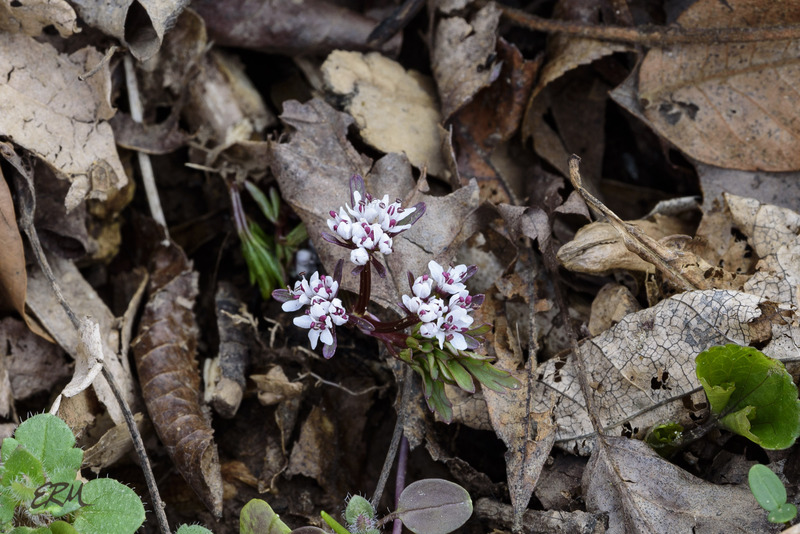 On March 25 I found large patches of harbinger-of-spring blooming near Billy Goat B. 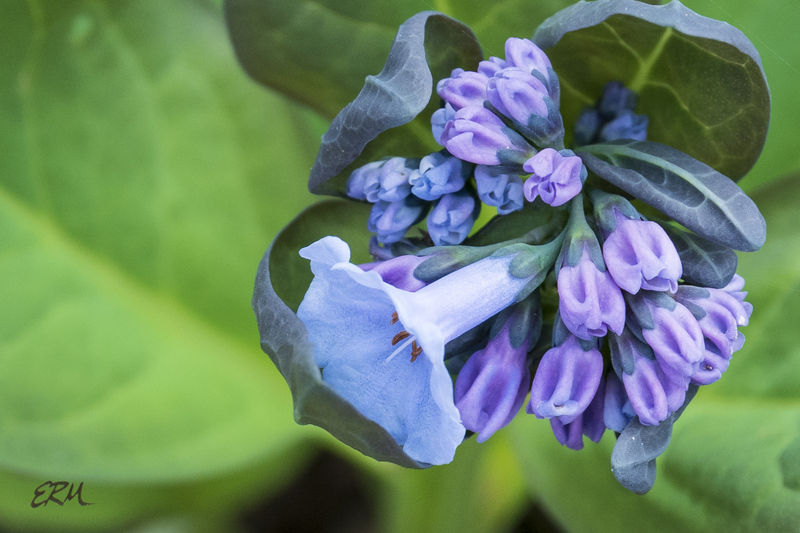 The bluebell buds should open in the next few days. 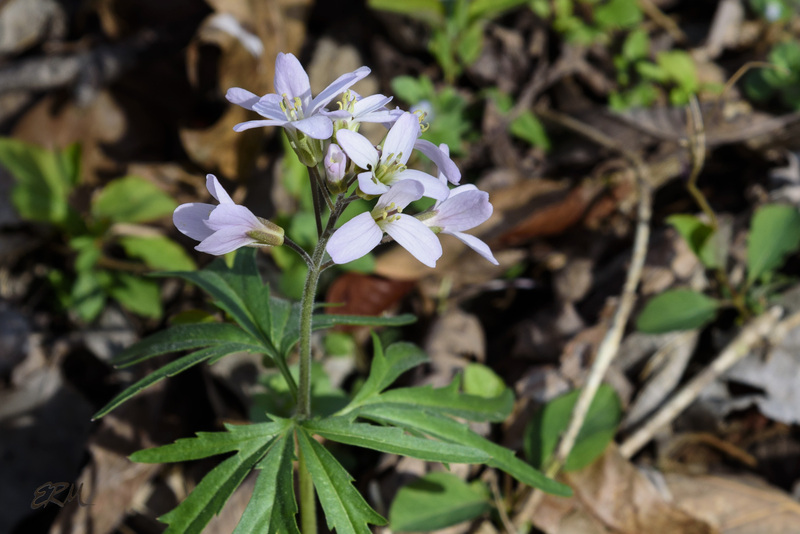 A few cutleaf toothwort are out, and lots of spring beauties, of course. 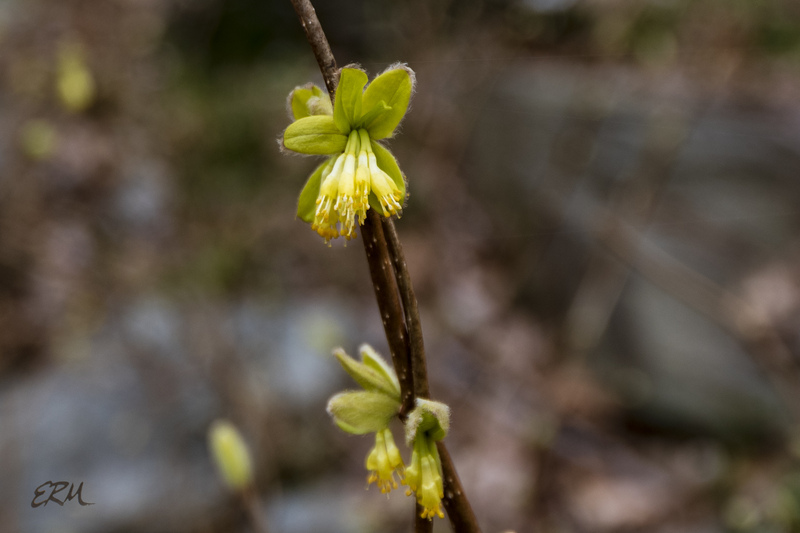 Spicebush is also starting to bloom. 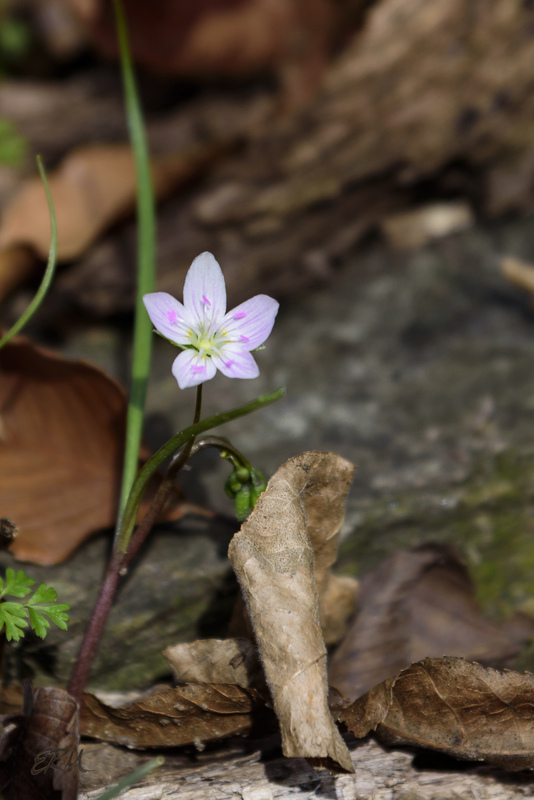 And there were several bloodroots flowering near Old Angler’s. 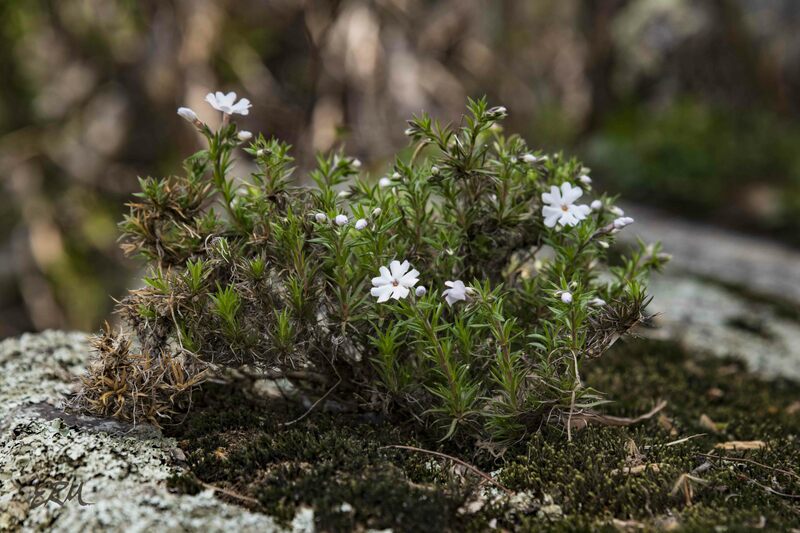 See LW’s comments on the last post for an update of the area around Carderock. 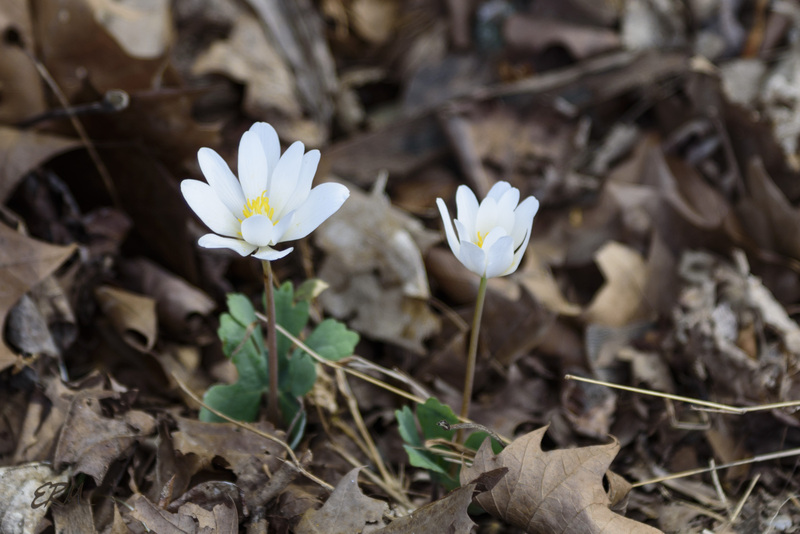 What a winter this has been! 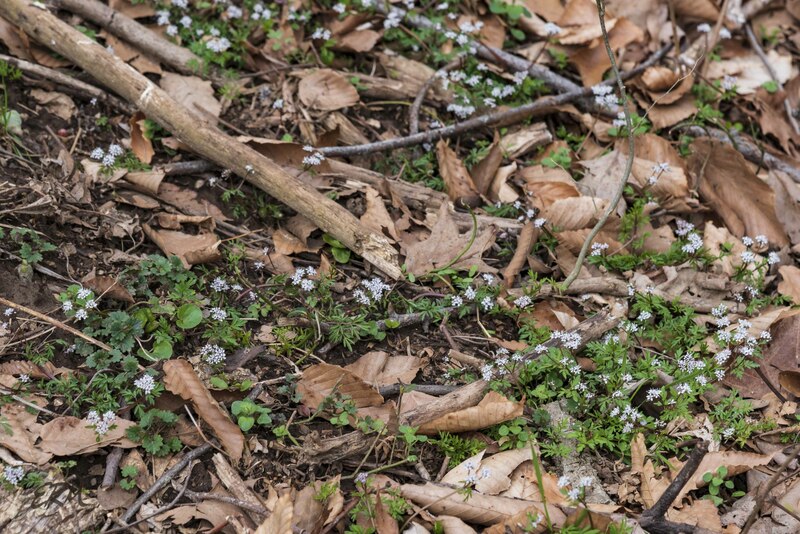 Temperatures bouncing around, crazy amounts of rain, or sleet, or snow, or any combination of the three… My favorite trails are all a mess of slick mud. 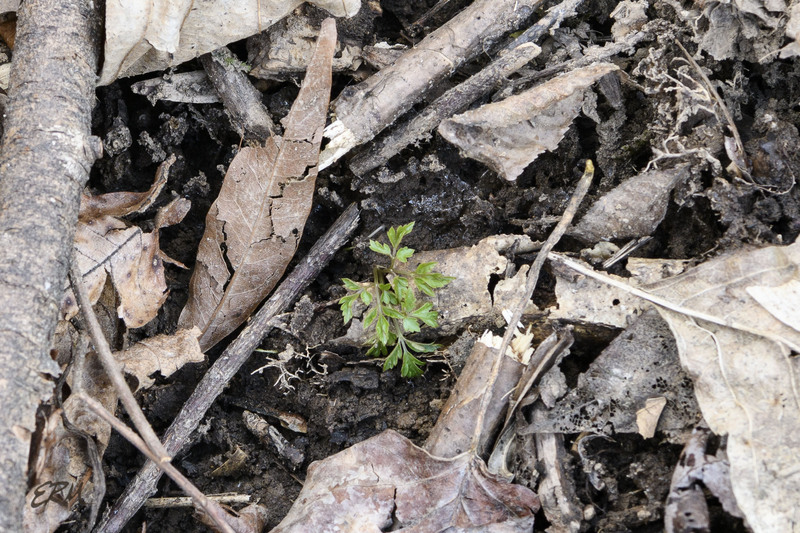 Nonetheless I’ve taken a few quick hikes to see if anything’s coming up yet. 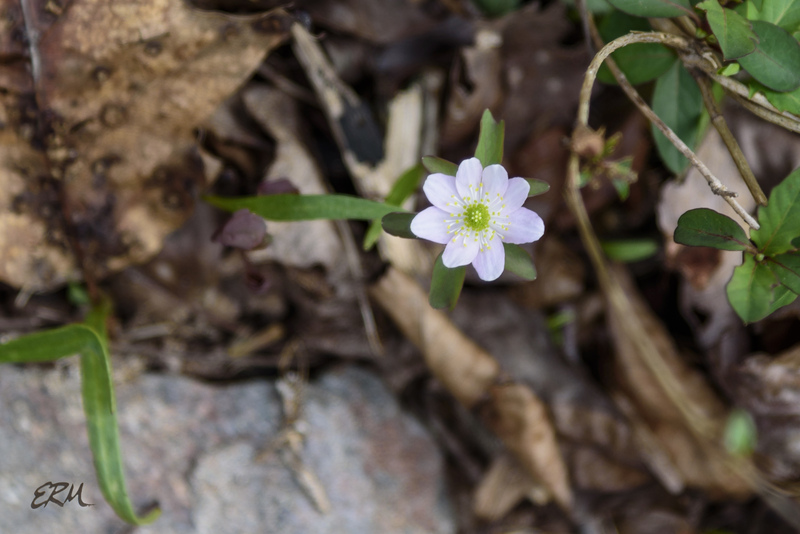 Last year on March 5, round-lobed hepatica was blooming on the Cabin John Trail, along with a single incredibly early Virginia bluebell. 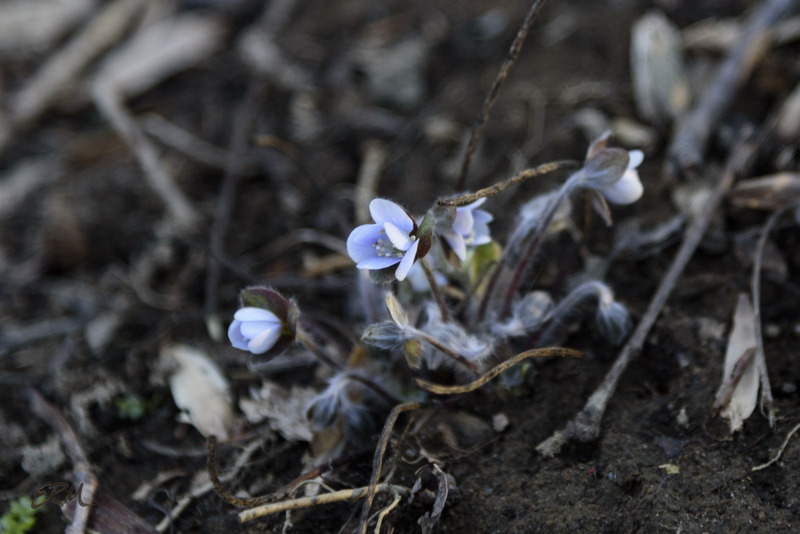 This year on March 5, I saw a single clump of hepatica leaves, without buds. 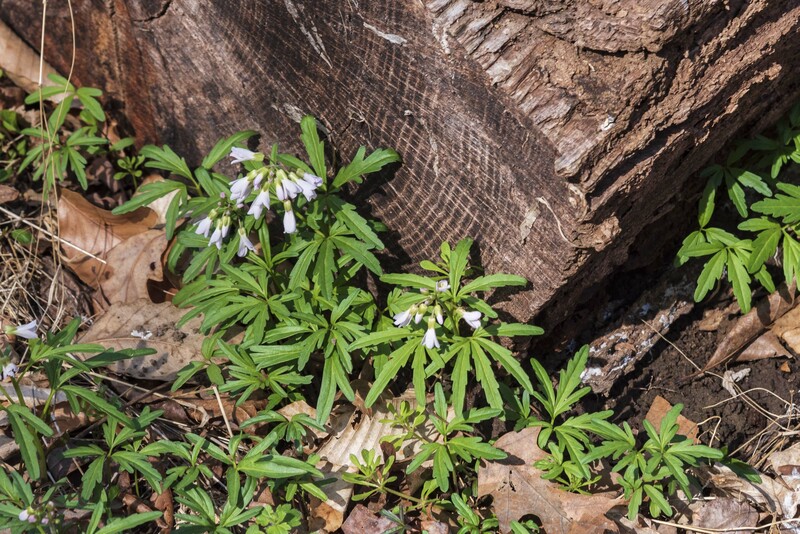 On the Billy Goat trails last year I saw the earliest harbingers-of-spring and spring beauties on February 28. 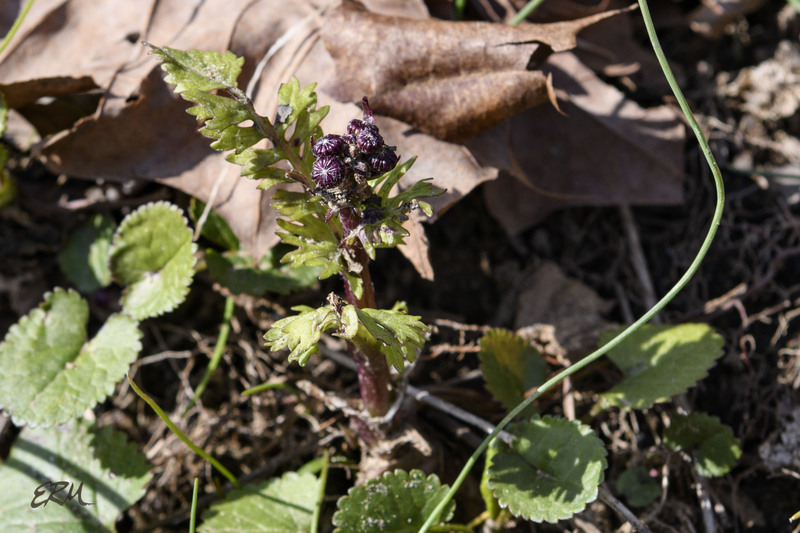 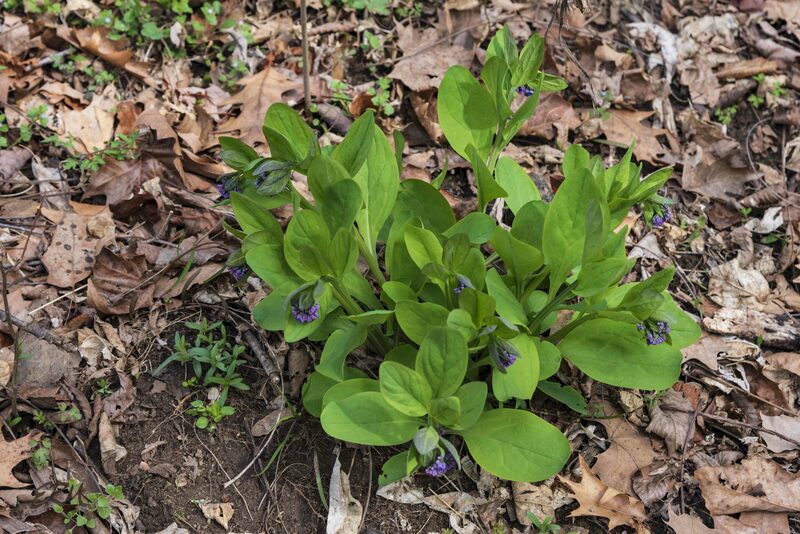 This year on March 6, I saw a single harbinger plant barely up, one spring beauty with two buds, a single golden ragwort budding up, and quite a few Virginia bluebell plants poking out of the mud. 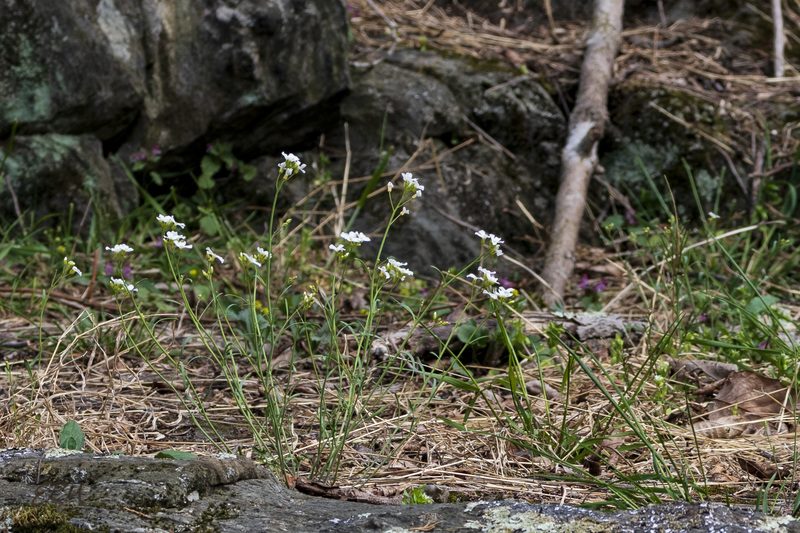 It’s going to be an interesting year. 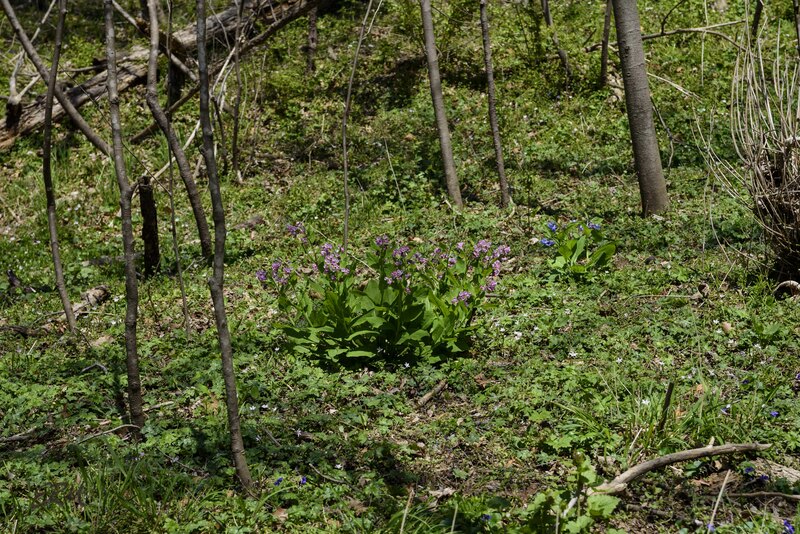 Flood damage in the Potomac Gorge is the worst I’ve seen in six years of monitoring the area. 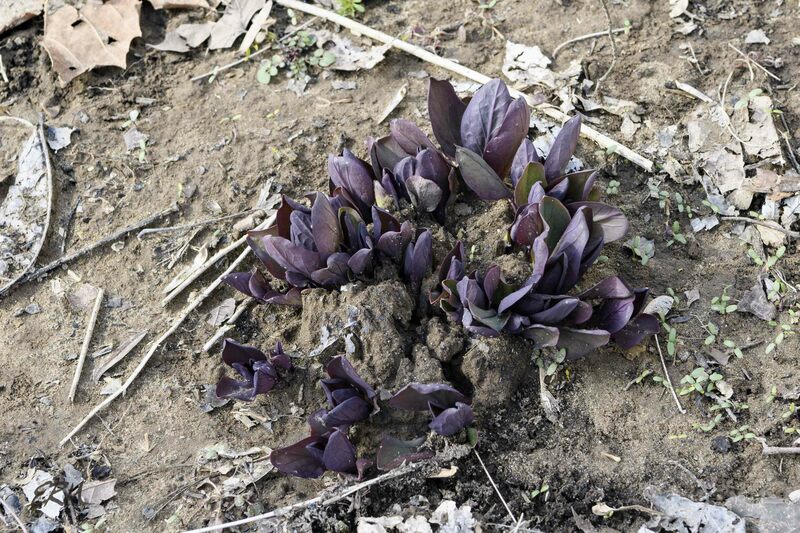 Alien invasives are starting to emerge from the mud and sand; did the floods do any real harm to those populations? 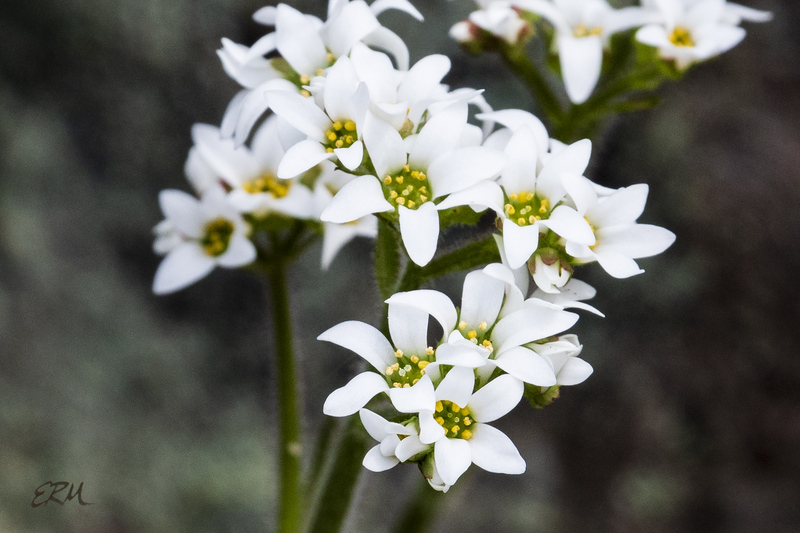 Will that allow the natives a chance to grow better, or were they equally affected? 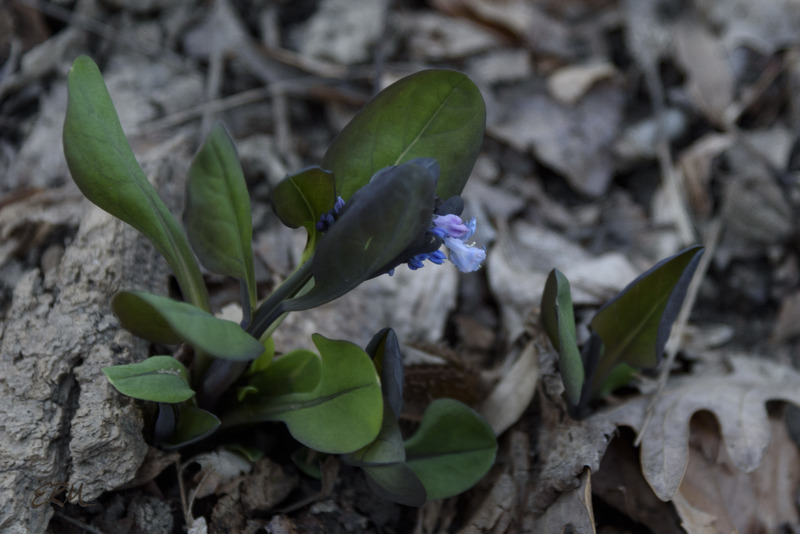 Hang in there, friends –spring is almost here. 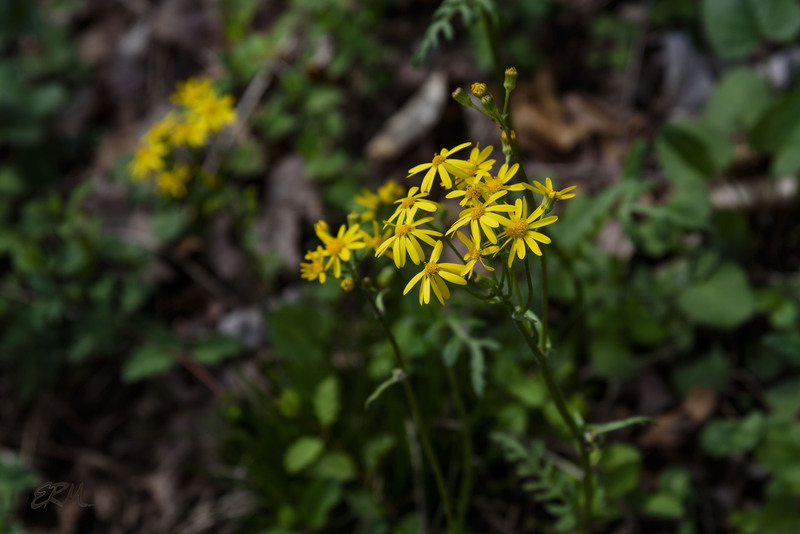 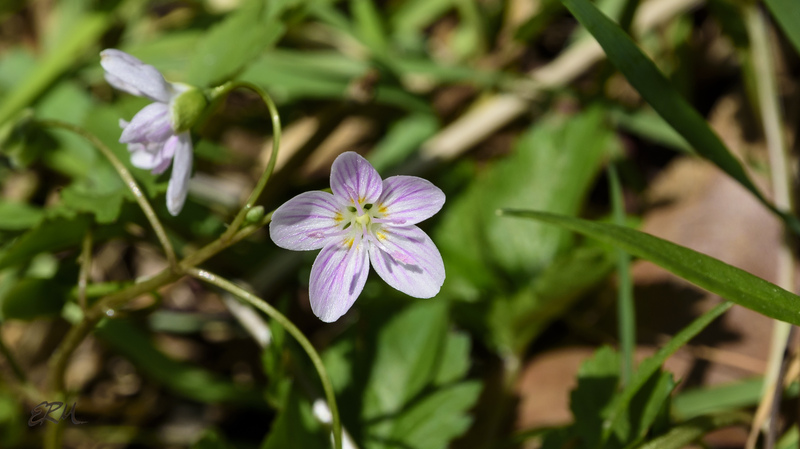 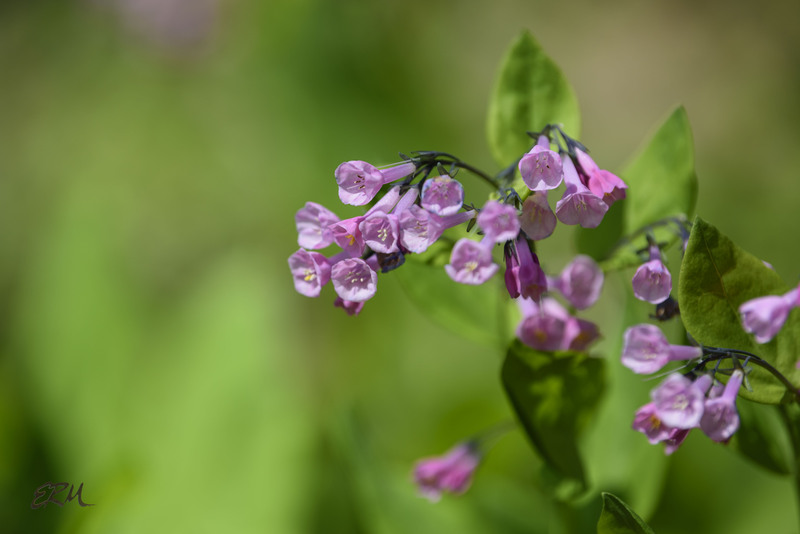 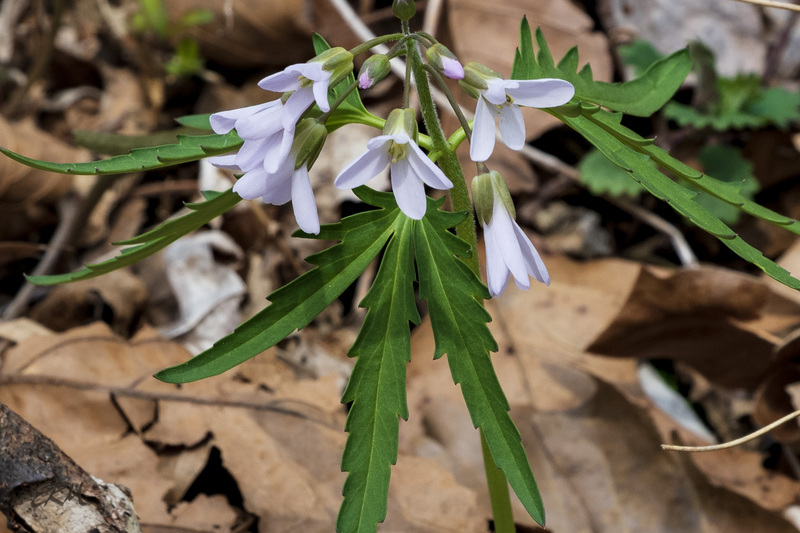 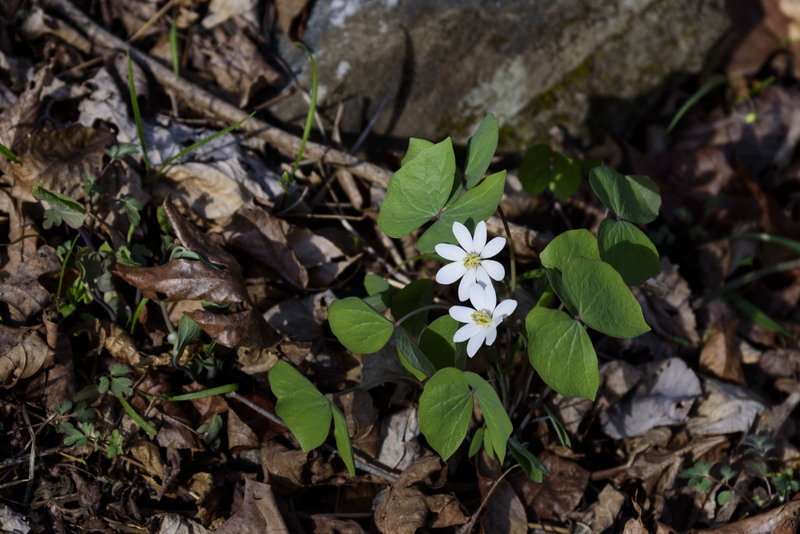 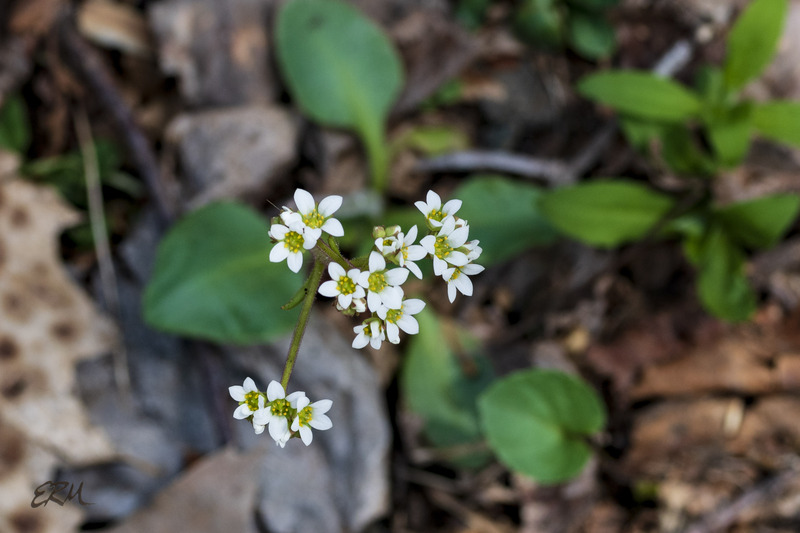 Here are some of the showier spring ephemerals to watch for in the Potomac Gorge this week. 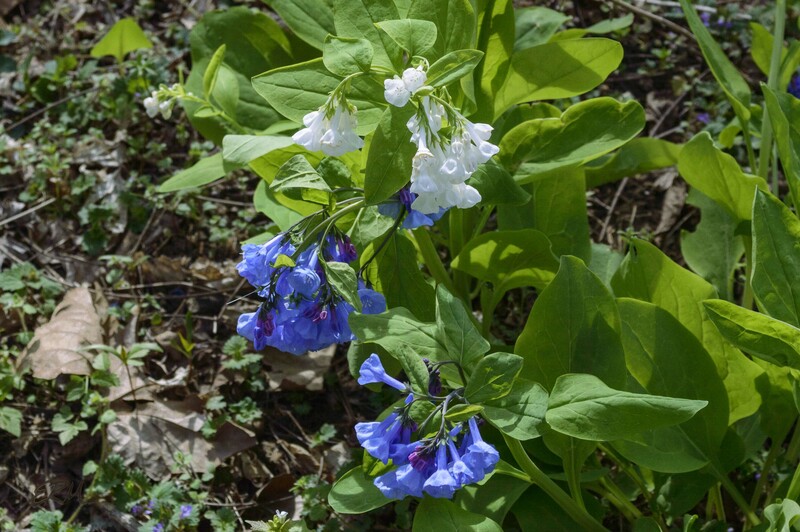 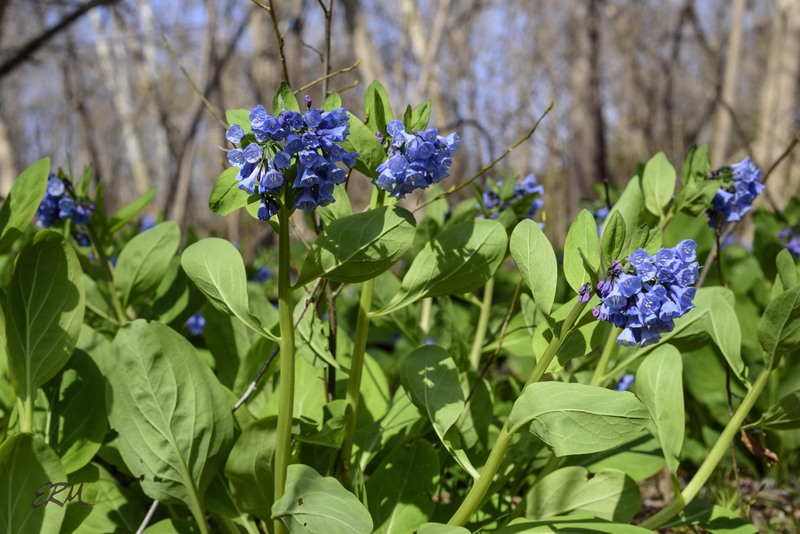 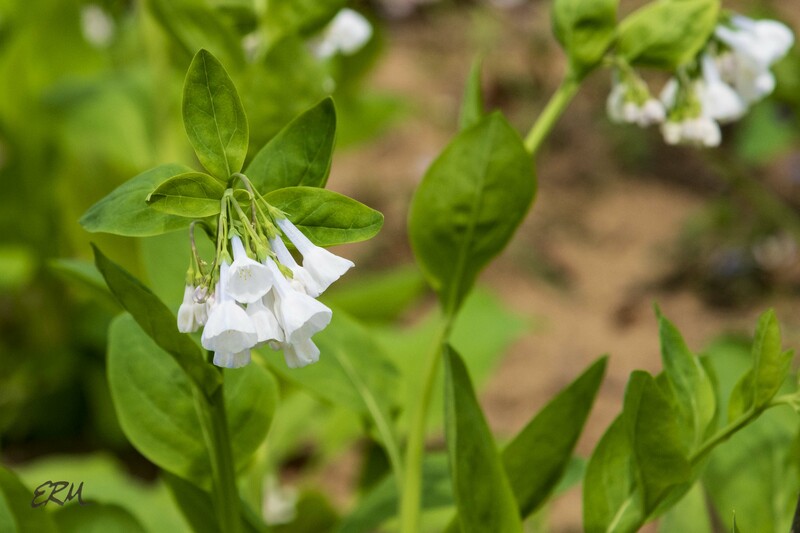 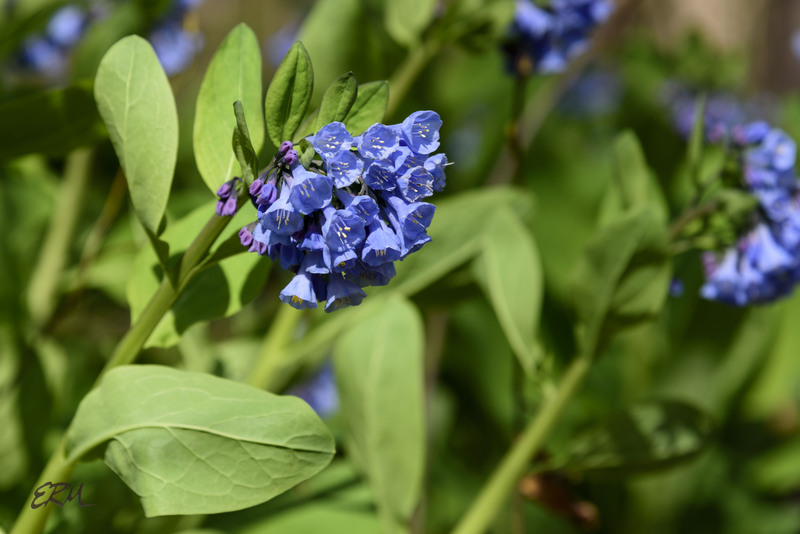 In the floodplain close to the river, Virginia bluebells (Mertensia virginica; left) are approaching peak bloom. 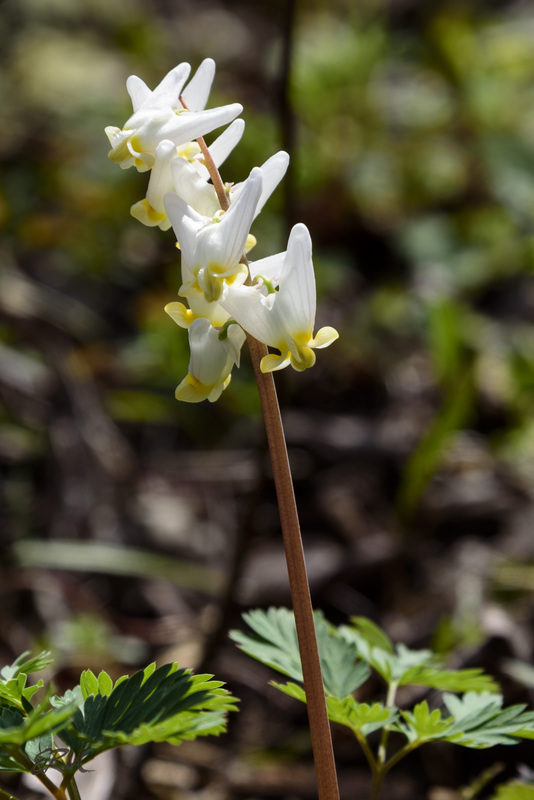 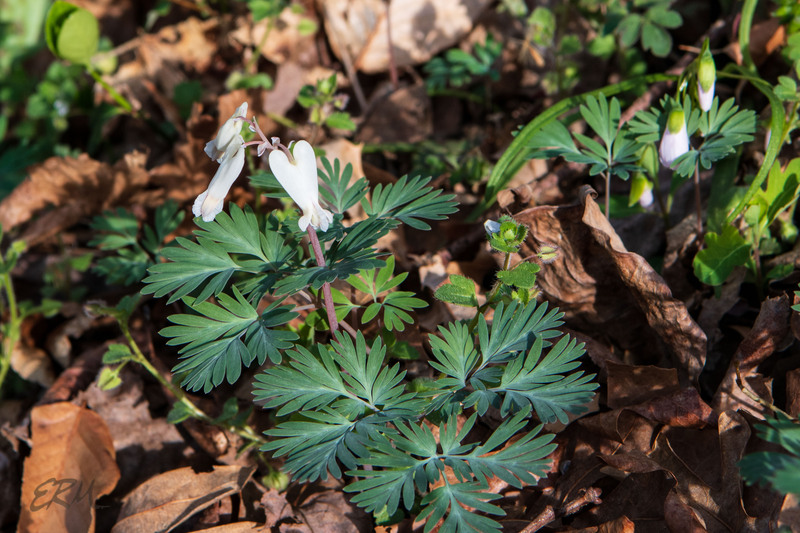 Mixed in with them in a few places are Dutchman’s breeches (Dicentra cucullaria; below right), which you might also find on moist, rocky outcroppings. 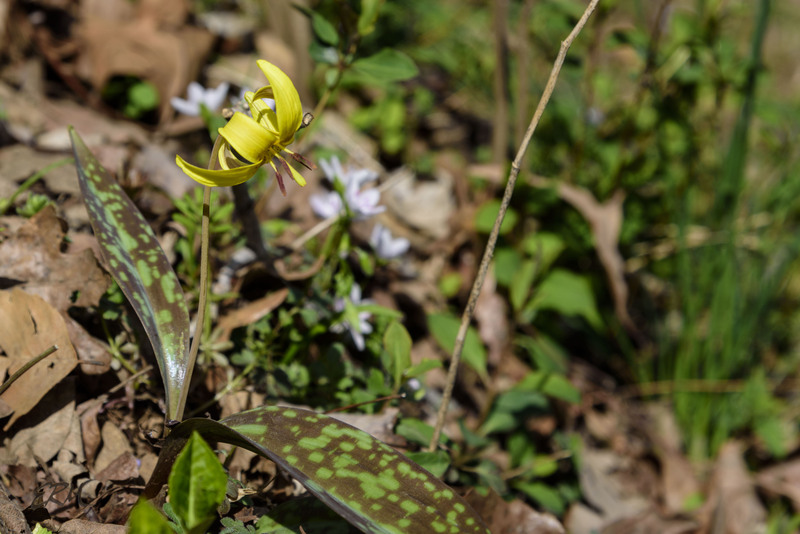 Trout lilies (Erythronium americanum; above left) like moist soils, too. 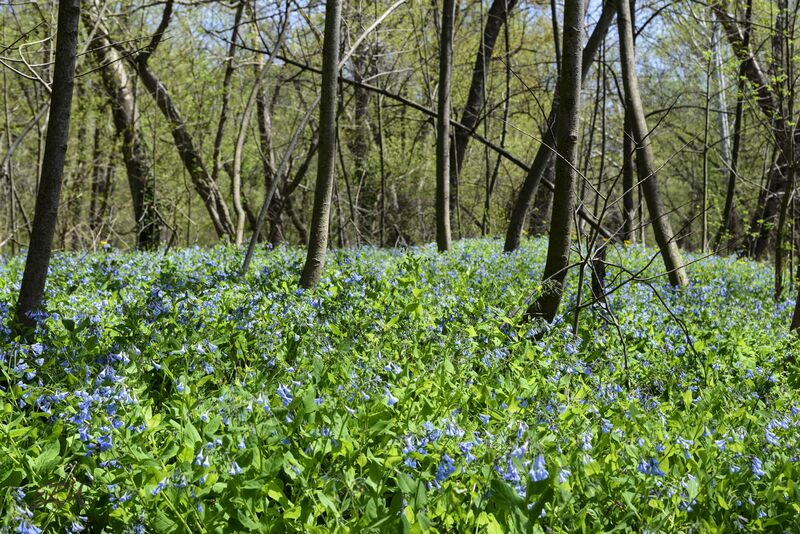 Generally I see them in the transition areas between floodplain and slopes. 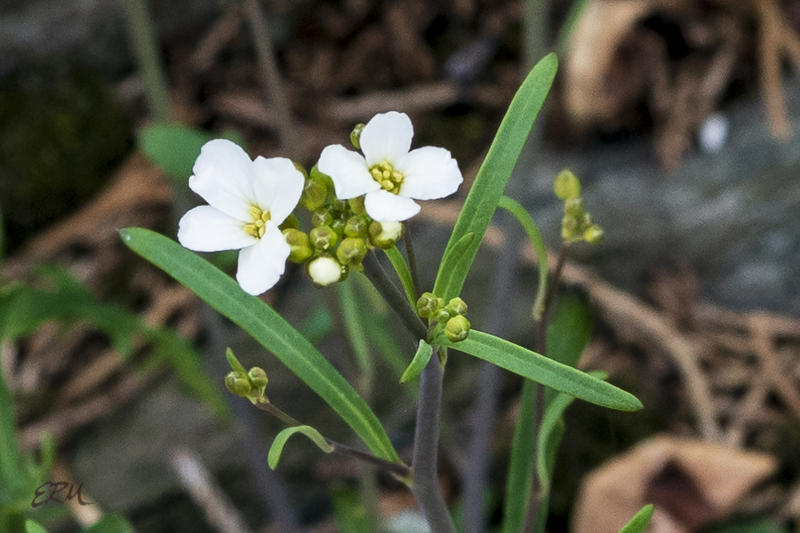 Further upslope are cut-leaf toothworts (Cardamine concatenata; left). 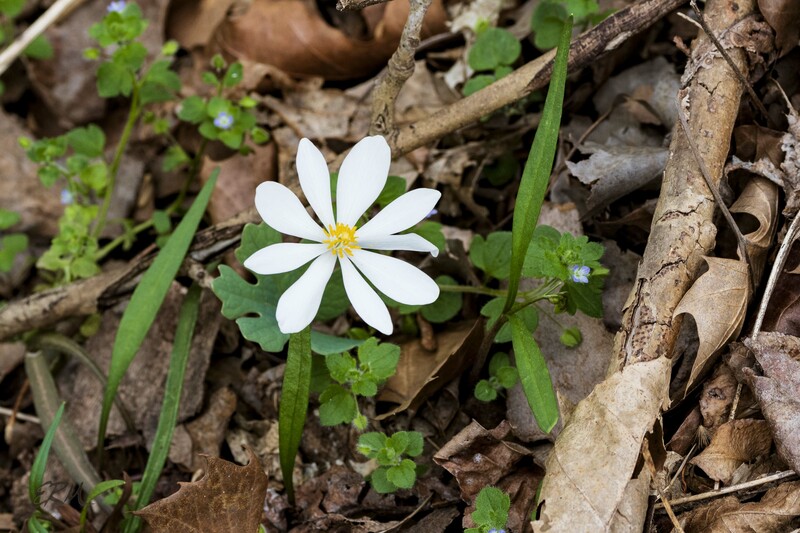 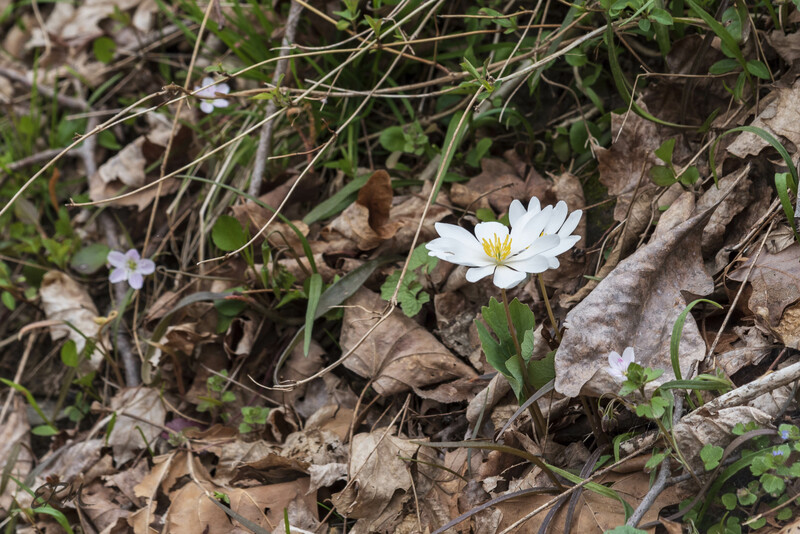 On drier slopes watch for scattered patches of bloodroot (Sanguinaria canadensis; below). 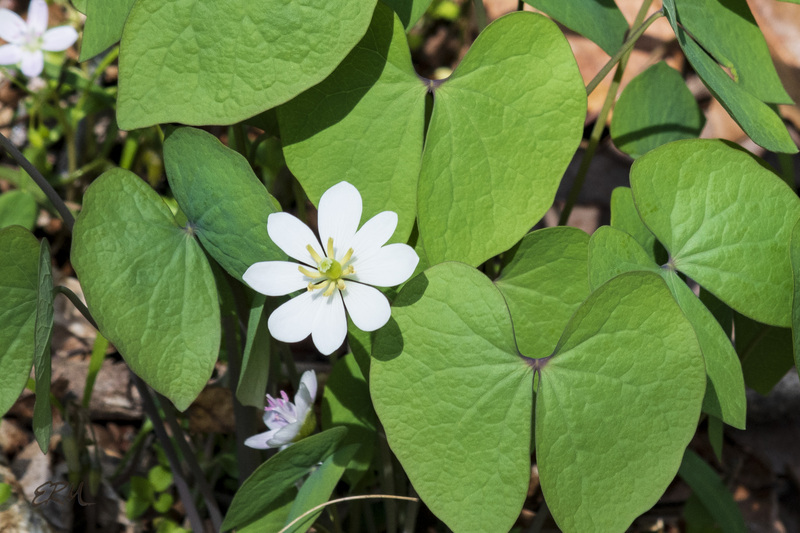 Look for twinleaf (Jeffersonia diphylla; below) in moist, rocky areas. 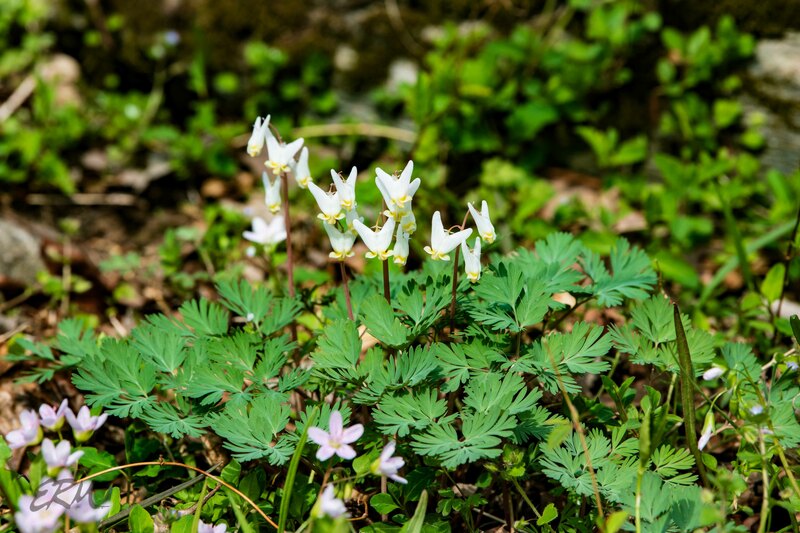 They like limestone soils, so aren’t as widespread as these other species, but where they do grow they they tend to grow en masse. 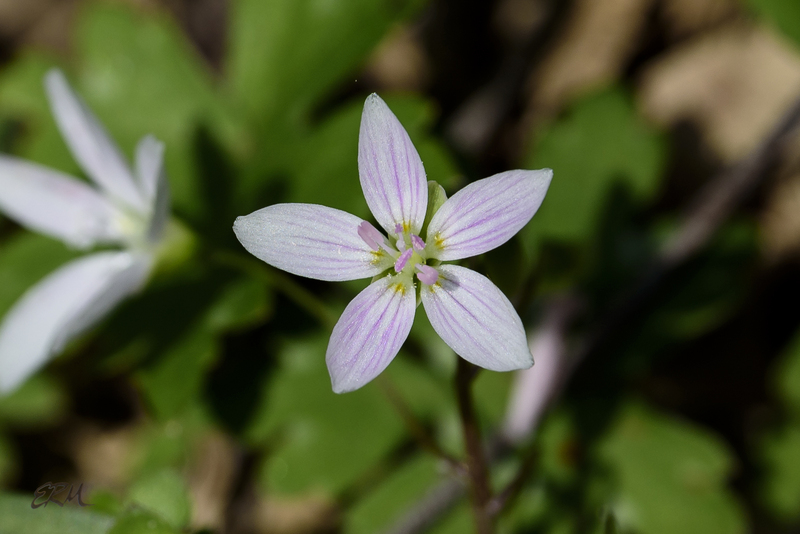 Spring beauties (Claytonia virginica; below) are just about everywhere.